If you want to know what berberine is and how it can benefit your body, then you want to read this article. Berberine is a molecule found in a wide variety of traditional medicines that have always been used to reduce diarrhea and to improve insulin sensitivity. Berberine supplementation can significantly reduce blood glucose, improve insulin sensitivity and intestinal health, reduce cholesterol, and decrease the symptoms of PCOS. The clinically effective dosage of berberine is between 900 and 1,500 mg, taken in three split doses (of either 300 mg or 500 mg respectively) with meals. There are few things better than finding a traditional medicine that seems to work. Finding multiple herbs that work? Slightly better. 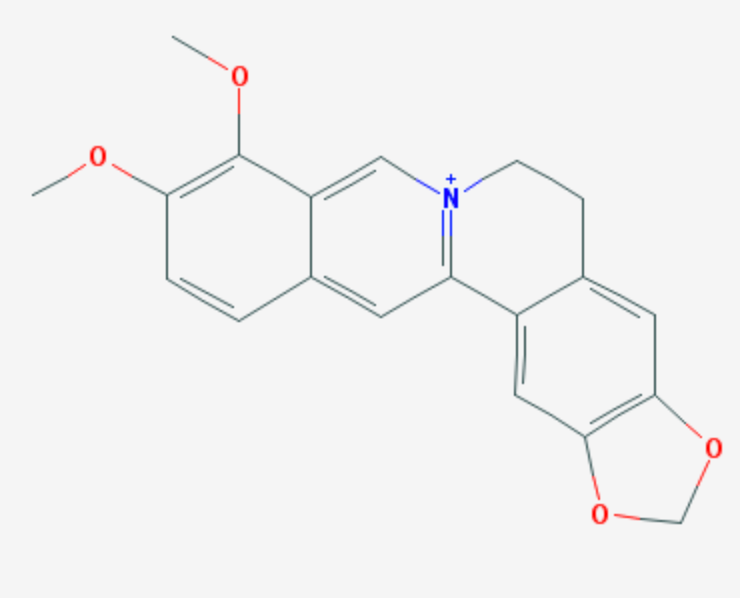 Finding a molecule that a bunch of herbs have a common? Much better. Finding out that this molecule could be nearly as powerful as a pharmaceutical drug for diabetes? Hot damn. That’s the case with berberine, a bitter tasting compound found in a wide variety of traditional medicines aimed at reducing blood sugar and intestinal complications. Finding this out also allowed us to take a step away from the plant and look into the molecule, which is nice—better to focus on one molecule than potentially dozens of unnamed ones in various other plants. When looking at berberine, we find a molecule that’s quite potent at reducing blood glucose levels and improving insulin sensitivity. It also has some other benefits, such as . . . In this article, you’re going to learn how berberine is an almost perfect solution for metabolic syndrome as while it tends to your liver, glucose levels, and triglyceride levels, it fails at some other aspects—like blood pressure. What Does Berberine Supplementation Not Do? What Is the Clinically Effective Dose of Berberine? What Are The Side-Effects of Berberine? Should I Take Berberine Supplements? Will Berberine Supplements Reduce Fat Gain While Bulking? Berberine is a compound found in a wide variety of plants, named initially after the plant berberis aristata. Now, not only does berberis aristata have historical usage as a medicinal herb but many other herbs including coptis chinensis, tinospora cordifolia, and phellodendron amurense were seen as medicines and contain berberine. For the most part, these medicines were recommended for similar benefits. Intestinal ailments and issues with the blood that were indicative of poor insulin sensitivity. In recent decades, it seems that all these plants worked via their common ingredient—berberine. So in a way, berberine is a molecule that ties together many traditional medicines with a common action and underlies most of their respective benefits. While berberine has a few mechanisms it’s most well known function is that of activating AMPK. Adenosine monophosphate kinase (AMPK) is a protein in many cells that, when activated, works to draw energy such as carbohydrates and fats into the cell from the bloodstream. AMPK then encourages the cell to use this energy in a somewhat inefficient manner—instead of deriving the optimal amount of ATP (cellular energy currency) from fats and glucose it makes the process a bit wasteful and produces more heat than necessary as a byproduct. The whole “draw carbs and fats from the blood into the cell” part makes it a highly sought after target for when it comes to insulin sensitivity or high cholesterol/triglycerides in the blood, both of which are treated by trying to reduce glucose and triglycerides in the blood. As a general rule of thumb, activating AMPK is great for people who have modern day diseases of excess—obesity, insulin insensitivity, high cholesterol, basically any disease you can eat your way into. This is because in these people their AMPK is usually subactive. Berberine is quite strong in activating this, and it even has a particular indirect way of activating AMPK through the mitochondria that’s exactly the same as the pharmaceutical Metformin—one of my favorite pharmaceuticals for type II diabetes due to its potent benefits and mild side-effects. Some other benefits, like longevity, have been theorized due to AMPK activation and are thought to also apply to berberine (alas, the studies on berberine and longevity do not yet exist). There’s some evidence that berberine is as effective as Metformin at reducing blood sugar. This is very much a situation like how curcumin is comparable to Ibuprofen in potency—being able to be compared to a mainstream pharmaceutical is great praise for a supplement, even if it’s a bit weaker or more impractical. For now, limited human studies seem to corroborate the traditional claims of berberine reducing diarrhea. Berberine, as berberine hydrochloride, has been found to reduce symptoms of irritable bowel syndrome, specifically diarrhea, leading to improvements in mood and less abdominal pain. It’s thought to do this through prolonging how long food stays in the intestines. If food doesn’t stay in the intestines long enough all nutrients may not be absorbed and, if it doesn’t form solid enough stool, it could result in diarrhea. Additionally, while not directly tested in humans, berberine can prevent E.coli from causing the intestines to start secreting water—which would lead to diarrhea. If we get more studies on this topic then berberine might become the next colostrum for traveler’s diarrhea. Finally, when looking at rat evidence, berberine has quite impressive effects in suppressing colitis—an inflammatory bowel disease. At times the potency is enough to fully prevent the research toxins (toxins used to cause diseases in research models) from causing colitis in the first place. Berberine is able to lessen digestion speed and thus lessen the risk of diarrhea. Animal studies have also shown that it may be a very strong anti-inflammatory in the intestines, which may be useful for ulcerative colitis. Berberine is best known for how it affects blood glucose and insulin sensitivity. Berberine is sometimes called herbal Metformin as they have numerous similarities when it comes to blood glucose; not only the benefits, but also dosage and side-effect profile. Studies on berberine not only find reductions in blood glucose back to a healthy range in both type 2 diabetes and liver ailments, but other parameters such as HbA1c (a marker of how damaging glucose can be to the blood) and insulin resistance are also reduced. A meta-analysis on this topic found that berberine, compared to pharmaceutical options, was comparable in its potency—the authors did caution that the average study quality was less than optimal. Many studies confound berberine with other supplements. So while more, and higher quality, evidence would be appreciated it’s absolutely wonderful that a dietary supplement has enough potency to rival pharmaceutical options. There’s good evidence to suggest that berberine may be as effective as the most commonly prescribed pharmaceutical drug for managing diabetes symptoms and improving insulin sensitivity. Beyond its role in the intestines, berberine has other roles that set it apart from Metformin—namely, a reduction in cholesterol. This is thought to be related to an enzyme called PCSK9, which breaks down the low-density lipoprotein (LDL) receptor on cells. LDL is classically seen as the “bad” cholesterol and, when it can’t be taken up into cells (to be broken down) since the receptors were destroyed, we end up with a backlog of LDL in the blood. This enzyme is also a link between inflammation and cholesterol, as inflammation causes PCSK9 to become more active. The more PCSK9 there is in the plasma, the less LDL receptors there are in the liver, which means a backlog of LDL in the blood—all due to inflammation. Berberine, when given to rats, prevents the ability of inflammation to boost PCSK9 activity, so the increase in cholesterol and triglycerides which normally would have occurred is greatly limited. Furthermore, berberine has been linked to just making more of the LDL receptor outright. It’s possible this could help reduce LDL levels, because there are more places on cells for LDL to be sucked out of the blood and into cells. Human studies have not yet shown that berberine reduces cholesterol via suppressing PCSK9, but we do have many human studies noting a reduction in cholesterol. Berberine can help lower LDL cholesterol and triglyceride levels in the blood by helping the body process these two compounds more effectively. The two former sections, improving insulin sensitivity and reducing cholesterol, lead into berberine being investigated for helping metabolic syndrome. Metabolic syndrome is a term used to refer to the state where multiple systems, usually those pertaining to cardiovascular health and insulin sensitivity, start to go out of whack—this usually manifests as high triglycerides, cholesterol, and glucose paired with obesity and fatty liver. Any supplement that can beneficially affect inflammation, glucose control, and blood triglycerides/cholesterol simultaneously is in a good position to help with metabolic syndrome. Bonus points if it also reduces high blood pressure, but that’s one thing berberine doesn’t clearly do. Metabolic syndrome is also not kind to the liver, encouraging non-alcoholic fatty liver disease (NAFLD). NAFLD refers to a build-up of liver fat that’s unrelated to alcohol consumption—usually NAFLD results from an unhealthy lifestyle and is correlated with obesity. Studies show that berberine can reduce NAFLD via AMPK as well, since it helps cells eat away at their fat more aggressively. Hell, even when tested directly in patients with metabolic syndrome researchers at the University of Guadalajara in Mexico found that berberine supplementation led to a 36% remission rate—meaning that 36% of the subjects, after three months, did not meet the criteria for metabolic syndrome anymore. While metabolic syndrome is best addressed with diet, exercise, and a host of lifestyle changes, berberine may be as close as we can get to an all-in-one additional factor to help you along the way. Polycystic Ovarian Syndrome (PCOS) is an ovarian disorder that results in high blood glucose levels and insulin resistance. Secondary to that, it causes an increase in testosterone and masculinizing features like hair loss with androgenic patterns (frontal hair loss), hair growth on the upper lips and body, and acne. Just to reiterate, it’s an ovarian disorder, so it affects women who most likely do not want androgens to turn them into a 70s era mustachioed daytime TV hero. PCOS, currently, is fairly well managed with usage of Metformin. Due to this, berberine has been investigated as to whether it has similar benefits. If so, it would be a great substitute for people who can’t get or don’t want to take a pharmaceutical drug. Studies that have been conducted on this topic have found that berberine and Metformin are somewhat comparable in reducing insulin resistance and improving fertility, although the latter claim does have some null evidence (suggesting it may not be 100% reliable). While metformin is likely the better option if you have access to both (as it has much more evidence) berberine is an up-and-comer that could also provide benefits to cholesterol and the intestines on the side, as well as alleviating PCOS symptoms. Among dietary supplement options for PCOS, berberine seems to be well-tolerated and may help some people who are unable to get a Metformin prescription. Berberine is not a full solution for health, but improving health is where all its benefits lay. It doesn’t seem to increase muscle growth. It doesn’t seem to increase fat loss. It doesn’t seem to lower blood pressure. Although berberine is sometimes brought up as a potential supplement for body recomposition, it either fails, only helps in very particular circumstances, or is simply too lackluster to care about. There are a collection of supplements out there known as “glucose disposal agents” which, while not the most popular genre, hold a lot of theoretical promise. If some kinks can be worked out then they could become the “holy grail” of eating to gain muscle. The theory behind these supplements is simply “give your muscles more glucose and have them use it efficiently for muscle growth.” It seems easy, but the body does that pretty well already, and it’s not easy for a supplement to boost this effect. This mostly comes down to two proteins. mTOR, the target of leucine (the most muscle building amino acid) and AMPK, the target of berberine and many other plant-based compounds. mTOR is the protector of cells. When activated it curtails unnecessary upkeep costs, bolsters and protects the cell, and causes muscle cells to grow. To mTOR, efficiency is key. AMPK is the garbage cleaner of cells. Much like a poorly planned herbal detox it just wants to pump things through one end out the other. Very good for fighting diseases of our modern lifestyles (like metabolic syndrome) and potentially very healthy. To AMPK, inefficiency is key. It just wants to bring in triglycerides and glucose and burn it asap, it doesn’t care about using these energy molecules for productive purposes. Naturally, the two proteins really don’t like each other. When one goes up the other gets suppressed and vice versa. The holy grail would be to activate both while preventing them from impeding each other but, currently, we don’t know how to do this. Yes, berberine can get glucose into your muscle cells. However, the mechanism by which it does this will suppress muscle building a bit. Doesn’t seem to be enough to cause muscle degradation, as the glucose itself does a nice job of protecting against this, but we wind up with a big net zero on the anabolism scale. At least, that’s the theory. At this moment in time we have no evidence to suggest that berberine can be useful as a muscle building supplement. Berberine, despite encouraging glucose to go inside cells, isn’t likely to be a viable candidate for a muscle building supplement. This is because its core mechanism, raising AMPK, doesn’t tend to help with muscle building much. AMPK increases energy uptake into a cell, then encourages the cell to expend this energy. This should mean that berberine causes fat loss, but it’s not as clear cut as a simple “yes” answer. It seems, right now, that the potential of berberine to induce fat loss increases the fatter and more unhealthy you are—with little to no potential for already lean and healthy individuals. Admittedly there are a few studies that demonstrate tremendous weight loss with berberine, with a 3.6% reduction in body fat and a 13% reduction in waist circumference noted. However, these were quite unhealthy subjects. A general rule of thumb is that unhealthy subjects with fatty livers, once they have their health improved, can lose a lot of weight rapidly. Case in point, fucoxanthin once was found to have reduced body weight by an average of 12 pounds over sixteen weeks. Almost a pound a week of weight loss from something that isn’t a straight up stimulant? Color me skeptical. So if you happen to fall into the demographic of having metabolic syndrome, or something close to it, and maybe also non-alcoholic fatty liver at the same time? Then berberine might help you lose weight. And truth be told, if berberine is like Metformin in this regard then maybe there could be some weight loss in obese patients without said disease states. However, I think it’s prudent to put on the skeptical hat here due to the large magnitude noted with berberine (it seems too good to be true) and how data is quite preliminary. Not only is there no evidence on healthier, slimmer, individuals but things that affect AMPK to cause weight loss only tend to work in the unhealthy and morbidly obese. I’m willing to bet that berberine is either a horrendously lackluster fat burner, or simply not one. Despite the litany of benefits with berberine and health, particularly for people with metabolic syndrome, berberine seems either very weak or ineffective when it comes to blood pressure. The limited human studies on the subject matter either find no effect with a supplement combination containing berberine, or find a small reduction in blood pressure that occurred alongside weight loss (which reduces blood pressure inherently). This is in contrast to studies in rats which do show a benefit, but that’s the nature of animal studies—they lead to conclusions yet are not definitive on their own. Berberine, despite benefitting many other parameters of cardiovascular health, doesn’t seem to have much if any effect on blood pressure. It would be best paired with a proven blood pressure reducing supplement or, at the very least, cardiovascular exercise. Berberine is almost exclusively taken with meals, with or without carbohydrates, three times over the course of the day. A low dose of berberine is 900 mg, taken in three separate doses of 300 mg. A higher, and more common, dose is 1,500 mg taken in three separate doses of 500 mg. There are many herbs that contain berberine, so remember that the dosages of the above simply refer to “berberine.” Not of the plant, not of “mixed berberis alkaloids” or whatever label shenanigans somebody pulls, just berberine. Berberine doesn’t have any well proven side-effects, but there are a few things that should be addressed anyways. First, primarily, is that it reduces blood glucose. Anything that reduces blood glucose has the potential to cause hypoglycemia, and while things that work on AMPK are seen as being lower risk than options that mimic insulin (or just straight up are insulin) the risk is still possible. So if you’re taking berberine and get symptoms of hypoglycemia, primarily dizzy/foggy feelings and perhaps chills, then have some carbohydrates. For future doses either lower the berberine or just take with more carbs than you initially did. Beyond that, berberine has the potential to interact with drug metabolizing enzymes. It’s shown inhibitory actions on CYP3A4, which is the enzyme that St.John’s Wort and grapefruit (due to bergamottin) inhibit. When CYP3A4 is inhibited, it cannot metabolize things as well. This is a bit of a problem since this is the enzyme that metabolizes about half of all pharmaceuticals in existence so, if it’s inhibited, there’s a metabolic backlog and may lead to accidental overdoses—CYP3A4 inhibition means nothing inherently, yet it means the world if you also take the wrong drug. Inhibitory effects have also been noted on other CYP enzymes including CYP2D6 and CYP1A2, while the latter may be too weak to be relevant the inhibitory effect on CYP2C9 is confirmed to be relevant in humans. So when it comes to potential drug-drug interactions, consider berberine to be higher risk than most dietary supplements out there. If you’re on pharmaceuticals then CONFIRM with your doctor before taking berberine. The ideal situation to take berberine supplementation would be in metabolic syndrome. People who have metabolic syndrome tend to have insulin resistance, high blood triglycerides and cholesterol, increased blood pressure, and higher levels of inflammation correlating with high adiposity (body fat levels). Berberine helps with all these parameters except blood pressure, and benefits body fat to a lesser degree than it benefits glucose and lipid homeostasis, but even if it doesn’t hit every parameter it still hits most of them. Not an all-in-one supplement but a most-in-one. Outside of metabolic syndrome, berberine may be useful for people who feel they cannot tolerate carbohydrate intake as well as their peers. This refers to people who are more susceptible to a “sugar rush” or have their cognition and fatigue tied into when they last ate carbs and how much they ate. If you can tolerate carbohydrates well, and your blood chemistry (specifically triglycerides, cholesterol, and glucose) are all within normal range, then berberine supplementation will not be as ground breaking for you as it would for others. It may still be useful, but it wouldn’t be too salient and you may not “feel” any benefits. As for people who are bulking—it may be a theoretically good option but, as I will get into, it’s not really a proven option right now. A common topic of discussion for berberine and athletes is whether it should be taken on a bulk. Given how it expends excess energy through AMPK, it’s thought that activating AMPK during a bulk can help prevent excess energy from being stored as fat. It’s assumed that AMPK could negate the side-effects of excess energy intake without shooting the bulk in the foot. There’s no evidence on this topic currently but, if I were to guess, I would say maybe? Say you were bulking with 750 calories more than maintenance. This is a level that will, over a few months, lead to fat gain. Sure, you will gain muscle at the same time, but when it comes time to cut off those extra pounds you may find yourself in a game of back and forth. In such a situation, berberine could (theoretically) be useful to limit fat gain. However, you know what else would be useful in this situation? Not bulking with a 750 calorie surplus. Bulking with a smaller surplus, or partitioning your calories at times where they can be more effective (I’m a fan of having simple sugars during my workouts, rather than eating muffins on rest days) will go a long way in mitigating fat gain. Much cheaper than buying an extra supplement as well. Of course, future evidence could overrule what I say, but being in the supplement game for many years now I don’t see or feel any niche that berberine could play in curtailing fat gain during a bulk. That’s about as likely as your drunken extended family having a polite and respectful political discussion at Thanksgiving. At the end of the day, berberine is one of the handful of supplements that would be good if more people knew about it. Due to its ability to reduce blood glucose in a manner where hypoglycemia is not too much of a concern, paired with additional benefits to cholesterol and triglycerides, it can serve as a very versatile and potent aid to anybody in an unhealthy body state due from overeating or a sedentary lifestyle. Further benefits to the intestines and, for some people, even weight loss make it even more enticing. However, it’s failure to reduce blood pressure makes it so berberine is not an all-in-one supplement for metabolic syndrome while it’s relatively high potential drug-drug interactions make it something to run by your doctor before using it (if you’re on any medication). And despite its long list of benefits to unhealthy people with metabolic syndrome, berberine doesn’t seem to have too much unique promise for already healthy individuals. Overall it’s definitely a top contender for something to consider for either yourself or a family member or friend who wants to improve their health. What’s your take on berberine? Have anything else to share? Let me know in the comments below!